Big thank you to all who were able to make it to our Junior Infant nativity play. We are very proud of all of the children for putting on such a super performance. Have a look at our little stars! 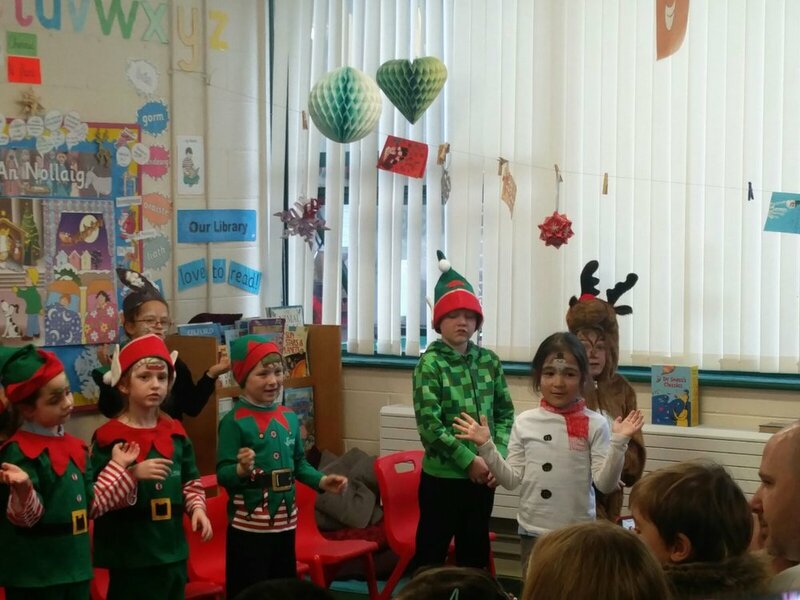 Today Ms Walsh's 1st Class had our Christmas Performance! The children worked very hard to learn lots of songs and rhymes, both in English and as Gaeilge. I am very, very proud of them all as they did a super job and really gave it socks!! We had a great time preparing for it and I hope the Mammys, Daddys, Nanas and everyone else who was able to make it had a great time too! Over the next two weeks we have wonderful plays going on to celebrate Christmas. We would love for you to come and see the plays and cheer on your child. This Wednesday 14th at 12pm, Junior Infants will have their play altogether in the Junior Building hall. On Tuesday 20th at 9.30 the Early Start groups are putting on their concerts in their classrooms. All children must be in by 9.15am. 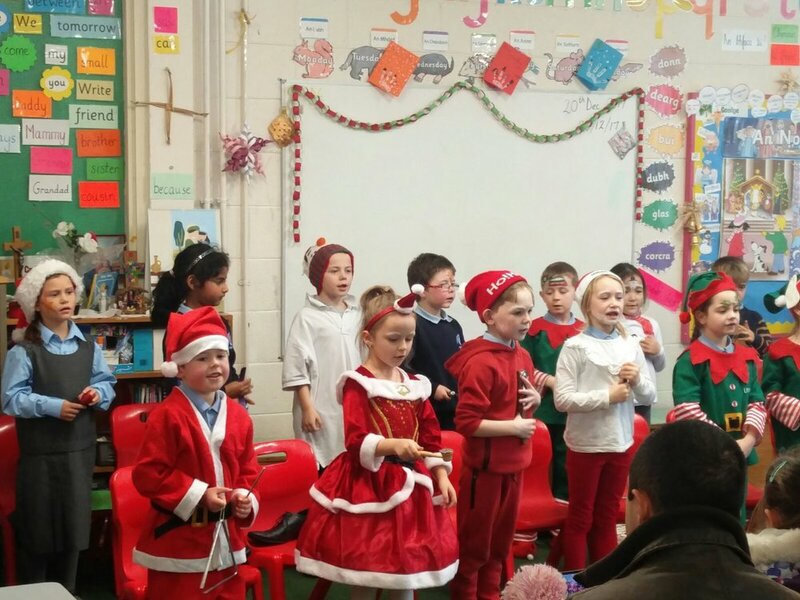 Also on Tuesday 20th at 1pm the 1st class children will put on their Christmas play in the Junior Building hall. On the 21st December the whole school community is invited to St. Fergal's church to watch the Junior production of Busy Bethlehem performed by 1st, 2nd and 3rd class. This will take place at 11am. Later that same day the Senior children from 4th, 5th and 6th class will perform Hosanna Rock at 1pm. Ms.Connolly's class will be the actors. Please come and join us for the festivities.